It is December 1926, and all of England is abuzz over the mysterious disappearance of celebrated mystery writer Agatha Christie. Speculation is rife, with some suspecting a publicity stunt, others convinced the novelist has drowned herself in the Silent Pool, a natural spring near where her abandoned car was discovered, and still others pointing to the possibility that she was murdered by her adulterous husband, Archie Christie. Eighteen-year-old Daisy Forbes, youngest of the three daughters of Howard Forbes, a wealthy industrialist, and his wife, Mabel, is among the volunteer searchers. 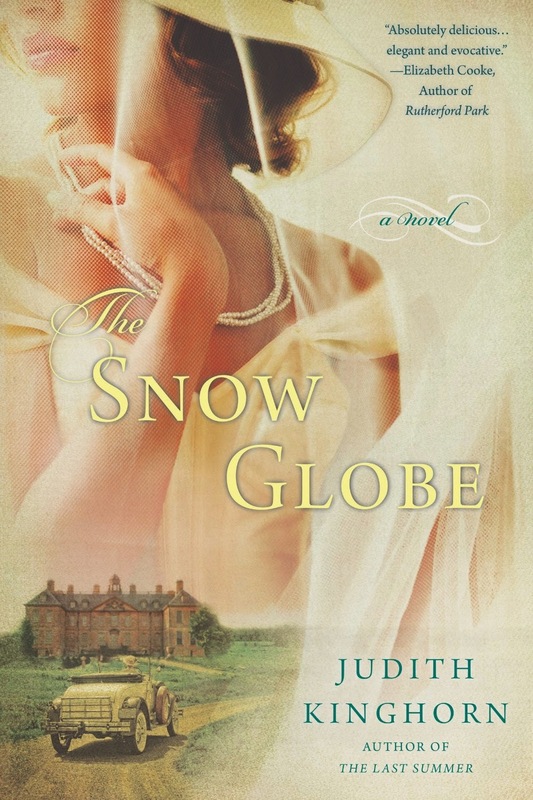 Judith Kinghorn uses the search theme and the image of the unfaithful husband to connect the larger world of post-World War I England with the private world of the Forbes family. The first part of the novel takes place as the family gathers for Christmas at Eden Hall, the grand home Howard Forbes had built shortly after his marriage. The safe, secure world of the family has already been changed by war. Of the four employees who left for military service, only one returned and he is a different person from the one who left. “The war still hung over them all, young and old. Like an ever-present but reticent guest, it stood alone, lingering in a shadowy corner.” Iris, the eldest Forbes daughter, has embraced the new world, flaunting her independence, declaring that she will never marry, and celebrating her life as the owner of a smart shop and a habitué of equally smart clubs where she and her friends drink and dance. Lily, the newly married middle daughter, clings to the remnants of a vanishing world, and Daisy, unformed and uncertain, is still enough of a child to half-believe in the power of wishes. Inside the glass orb were tiny pine trees, a replica of Eden Hall in miniature and hand-painted gold stars—each one studded with a tiny diamond at its center. A present to Daisy from her father when she was no more than five years old, the snow globe was brought out each year and placed in the same spot, its limited appearance making it a veritable treasure of Christmas. And Daisy continued to be mesmerized by it. She imagined them all—herself and her family—inside the miniature house: tiny people with giant souls and infinite love in their hearts, safe and warm beneath the glass, beneath those diamonds and gold stars. Christmas 1926 will shatter Daisy’s illusions about her family. Overhearing a conversation between two long-time servants, she learns that her father has had a mistress for years. Her faith in her adored father’s integrity shattered, she is filled with sympathy for her mother, only to discover that not only is her mother aware of Howard’s infidelity but she has inexplicably invited his mistress, the actress Margot Vincent, and Margot’s son to Eden Hall for Christmas. As if these revelations were not enough for Daisy to deal with, she is also faced with shifts in her relationship with Stephen Jessop, the son of Eden Hall’s cook and gardener and Daisy’s best friend throughout their childhood. She is also uncertain about her feelings for Benedict Gifford, a young man from her father’s company who is clearly interested in marrying her. The presence of the charming and handsome Valentine Vincent, Margot’s son, adds to Daisy’s confusion. Given his connection with her father’s mistress, Daisy feels she should loathe Val, and yet it is he with whom she shares her first kiss. The holiday ends with the guests returning to their homes and members of the Forbes family scattering. Mabel leaves with her husband’s spinster sister for an extended stay in Italy and France, Daisy joins Iris in London, and Howard is left to care for Eden Hall and his mother-in-law in Mabel’s absence. Stephen too leaves, ostensibly for New Zealand. Before leaving for London, in a gesture heavy with symbolism, Daisy throws away her snow globe. The second part of the novel takes place in the summer of 1927 as the Forbes family and most of their guests reunite at Eden Hall to celebrate the twenty-fifth anniversary of Mabel and Howard. Although the novel is classified as historical fiction, the resolutions of the storylines in this section are generally of the sort that will have romance readers sighing happily, despite a brief period of dismay when Daisy, piecing pieces of a puzzle together without all the parts, concludes that Stephen is her half-brother. Kinghorn shows her readers a world caught up in the changes that followed WW I, most obviously in the characters of Stephen and Iris. The former suggests that the barriers between classes were becoming less rigid, and the latter exemplifies the greater freedom young women enjoyed in the era of bobbed hair, rising hemlines, and the early stages of the sexual revolution. Mabel and Howard’s story holds equal interest because they are tied to the values of an older generation but find their lives shaped by the new world as well. Howard’s business is changed radically by the decline of the British Empire, and only his acumen and his willingness to embrace change save the family from great financial losses. Reared to accept her husband’s behavior without protest and to find her purpose in the domestic realm, Mabel refuses to conform. Early in the book, she is described as a “Henry James heroine, one of those formidable women whose sense of duty left them unable to breathe properly,” but unlike those Henry James heroines, Mabel casts off the duties that had defined her and learns to breathe freely. I would have rated this book more generously had it been billed as the first of a series with the reader reasonably able to suppose a second book would offer fuller development of Iris’s character and a look at what happens to Valentine. Read as a standalone, I found Iris’s character a confusing mix of compassion, anger, and shallowness. Valentine too, although depth is suggested in spots, comes across as essentially shallow. The combination suggests that those who belong to the emerging world are pleasure-seekers of little substance. I found this bothersome. Nevertheless, Kinghorn gives readers a fascinating look at one family and those around them, and she does so in lucid prose that sometimes possesses a wonderful lyricism. The historical setting feels authentic, and Daisy’s youthful vulnerability and growth are endearing. I recommend this one to fans of light historical fiction and to fans of 20th-century historical romance. You make it sound like a wonderful read - thanks! It sounds interesting, doesn't it? I'm glad to see more stories being set in this time period. It's one of my favorites. Sounds like my type of book, thanks for the review.